It’s that time of the year again. It’s the time when the work period is wrapping up, the weather gets toasty and the nights get longer with the carefree vibes of the Melbourne festive season. What better way to celebrate this fun filled period than by hosting your end of year soiree at Ellis Street Studio, Melbourne’s premier Christmas party venue. 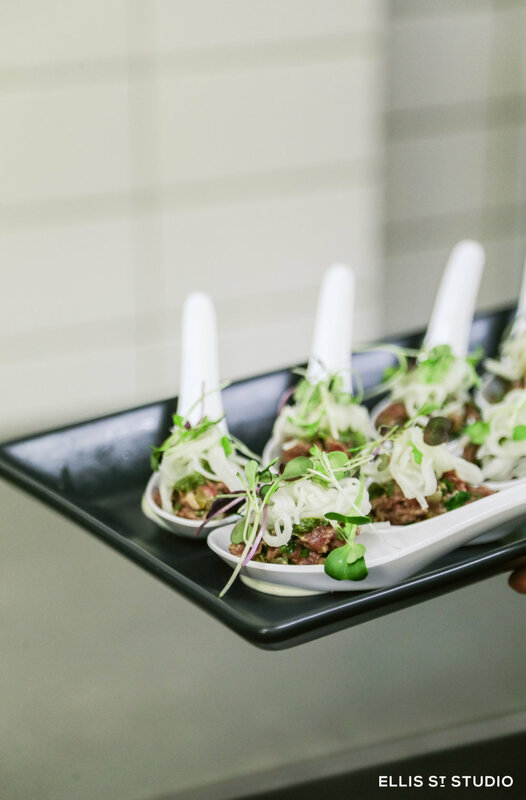 Whether you’re planning your office’s grand event or a simple corporate luncheon, the team at Ellis Street Studio, located in the heart of swanky Prahran and South Yarra, will help you put on a Christmas party you will actually want to remember. Whether you’re anticipating an all-out, end of year grand slammer, or a quiet and refined corporate occasion, our warehouse function venue can host Christmas parties for up to 150 people. Click the button below to start planning your Christmas party. Eat, drink and dance the night away with a Christmas party at Melbourne’s latest function venue. Scroll down to view our range of Christmas party ideas. Nothing goes together like Christmas and cocktails. 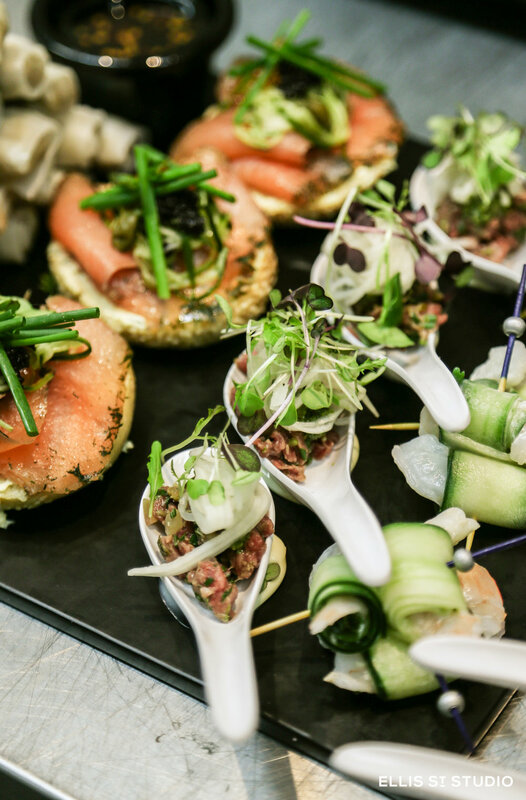 Add some canapés and a selection of finger food and you’ve got the perfect silly season soiree that is sure to impress your clients and colleagues. Host a festive Christmas luncheon with friends and family or an intimate dinner with the office. Indulge in a selection of gourmet dishes prepared onsite in our commercial kitchen. Demonstrate the year’s efforts with a gallery showcase featuring your favourite portfolio pieces from 2017. Our function venue is the perfect location for creative Christmas parties. As one of Melbourne’s preeminent function venues, Ellis Street Studio takes great pride in providing a service that is unmatched by other locations. With the capacity to fit up to 150 guests, a fully licenced bar operating to the rare hour of 3am, a complete commercial kitchen and full sound system for DJs/bands, we have created a Christmas party venue that truly reflects the energy and good times of this most silly part of the year. 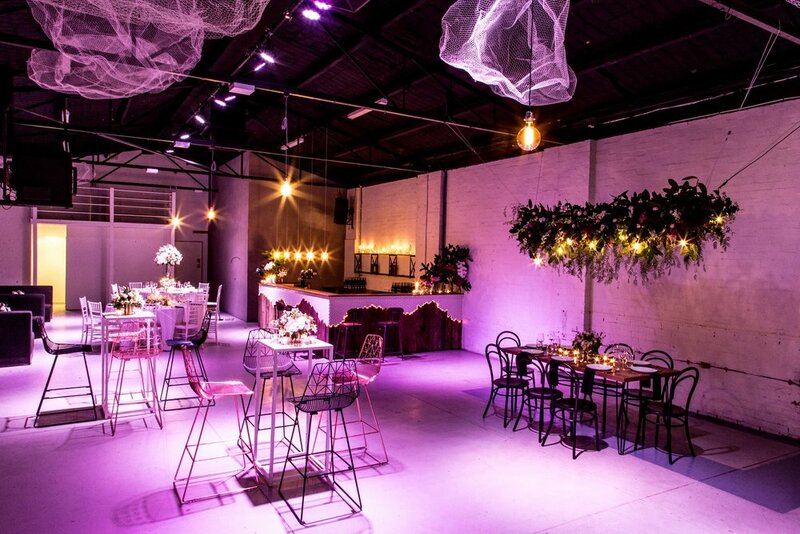 What’s more, our venue, located in a wonderfully transformed warehouse, has been designed to promote a social, vibrant atmosphere. Contemporary design, ambient lighting and sophisticated polished concrete floors make up the plan of a function venue that is sure to bring out the festive cheer in all attendees. Allow our refined and highly experienced hosts, bar and wait staff to spoil you at an event that your team, family or friends will remember for all the right reasons. START PLANNING YOUR CHRISTMAS PARTY AT MELBOURNE’S LATEST FUNCTION VENUE. Click the button below to start planning your Christmas party at Ellis Street Studio. Step inside from an unassuming entrance on Ellis Street and discover a beautiful function venue with all the space you could possibly need to host the Christmas party of your dreams. Have Any Enquiries Regarding Christmas Parties at Ellis Street Studio? If you are interested in finding out more about the services provided by Ellis Street Studio, or would like to book in your Christmas party at our stunning venue, please don’t hesitate to get in contact with our friendly and helpful team of staff. We are committed to providing an impeccable standard of communication at Ellis Street Studio, and will be happy to talk you through all the wonderful services we offer as part of our Christmas party function service. Call us on 03 8579 0951 or send us a message via the form below and we will get back to you with all the information you require.